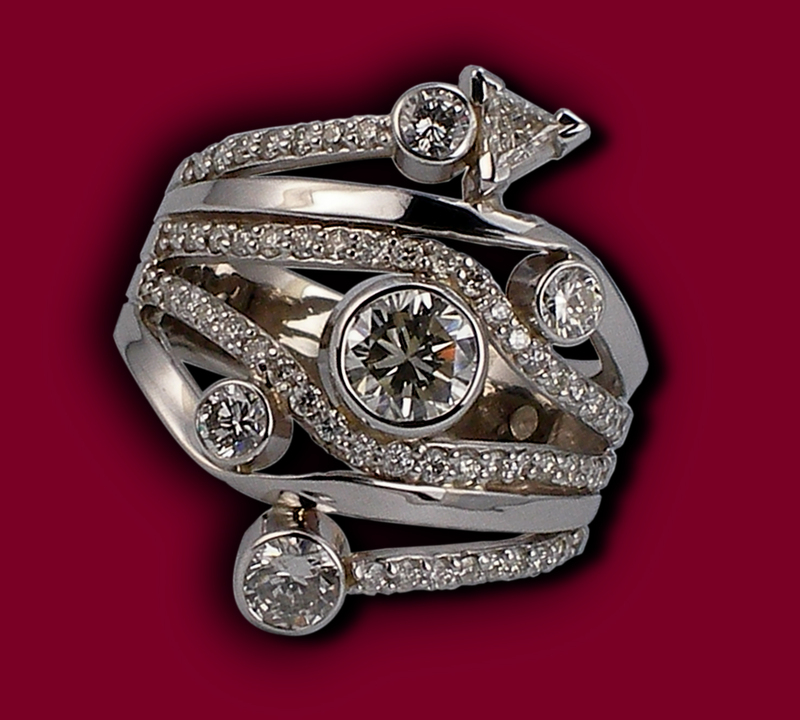 14kt white gold diamond remount. Done on our premises. 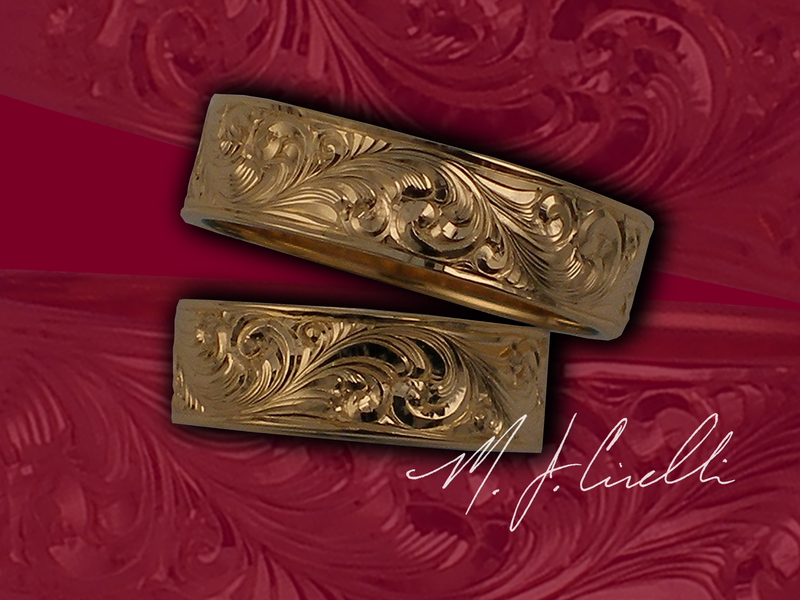 A pair of 14kt yellow gold hand engraved wedding bands. Done on our premises. Just call we will be glad to set up your appointment.